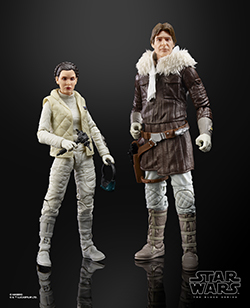 Rebelscum.com: Hasbro: The Black Series UK Exclusive Han Solo And Princess Leia Organa 6-Inch Figures! 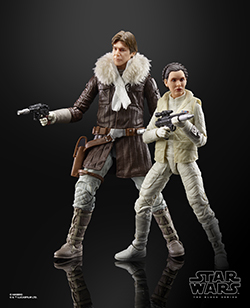 Hasbro: The Black Series UK Exclusive Han Solo And Princess Leia Organa 6-Inch Figures! Hoth. 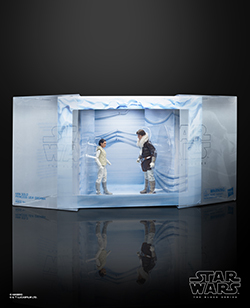 There isn't enough life on that ice cube to fill a space cruiser, but now you can add a few new inhabitants to your Hoth The Black Series collection with this incredible exclusive! 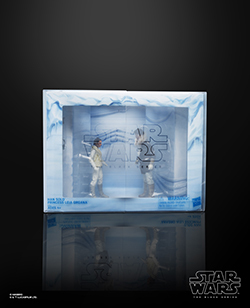 The two-pack contains 6-inch scale figures of Han Solo and Princess Leia Organa, as they are seen on the planet Hoth in The Empire Strikes Back. 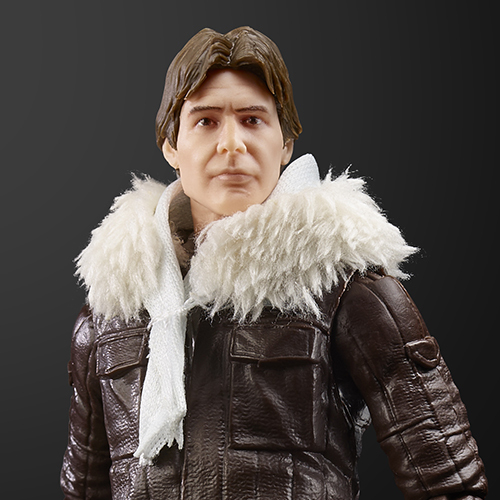 This kitbashed Han Solo figure appears to be a repaint of the original Hoth Han with head of the recently released Bespin Han and new collar accessory. Princess Leia appears to be the same as the upcoming standard The Black Series release. These HAN SOLO and PRINCESS LEIA ORGANA figures are carefully detailed to look like the characters from STAR WARS: THE EMPIRE STRIKES BACK, featuring premium detail and multiple points of articulation. Includes two 6-inch figures and four accessories. Limited quantities of this item will be available at other select conventions and may be available at select online retailers after the convention in the relevant market (including HasbroToyShop.com where available). Fans will be able to purchase this exclusive set at Noris Force Con (Germany) for £49.99, followed by MCM London Comic Con (England), Comic Con Paris (France), and Lucca Comics & Games (Italy) in limited quantities while supplies last. When asked for clarification on the US availability that is mentioned in the press release, Hasbro's PR firm shared that "The exclusive may be available at select online retailers later in the year after the conventions in certain markets, and may be available at HasbroToyShop.com in the US."